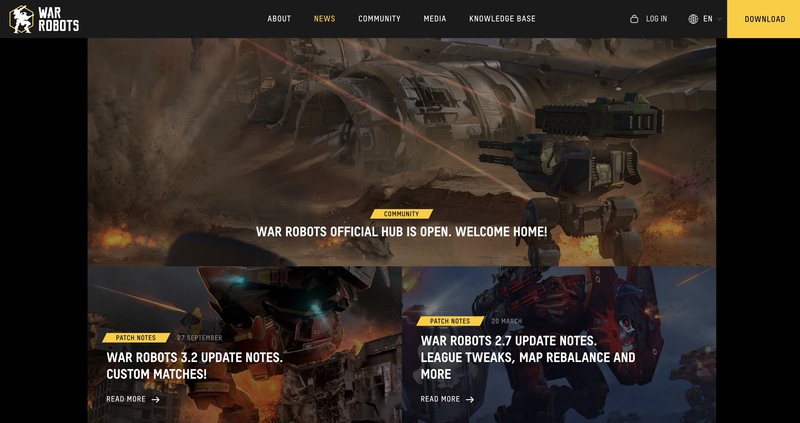 We recently launched a new portal for our War Robots community – information about the game, as well as news, latest updates, guides, FAQ, media and player testimonials are now all in one place. Our game is still developing three years after its release, which is why we’ve decided to gather all information about the project on one platform. News, beginner guides, as well as an up-to-date robot and weapons database – everything is now available at War Robots site. The site is easy to navigate, as all relevant content has been conveniently grouped together in sections – for instance, you’ll always be able to look up newly-released maps, weapons and robots in the news section, and check their features and parameters. 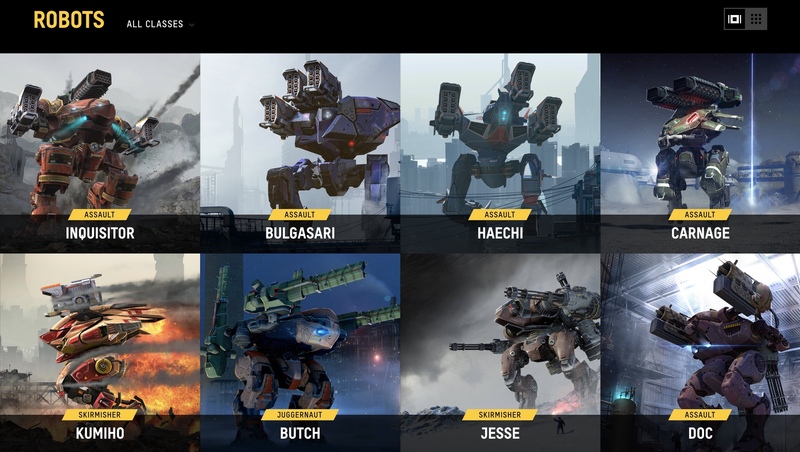 The site’s most interesting part is the robot and weapons database – in this section, players can look up any robot’s strengths and weaknesses, and pick out their own weapons based on their combat characteristics. 3D models of our battle robots are also available to view.